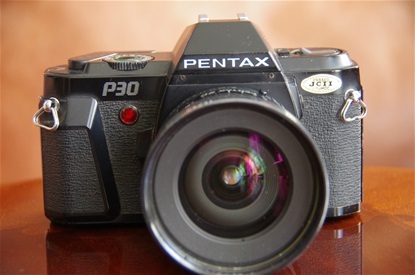 The P 30 was introduced in 1985. 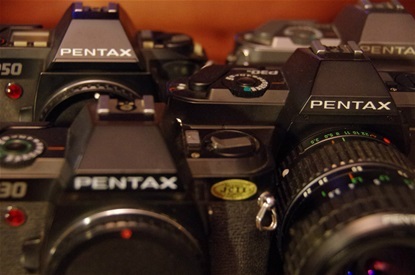 The P-series were simpler cameras than the A-series released two years earlier. 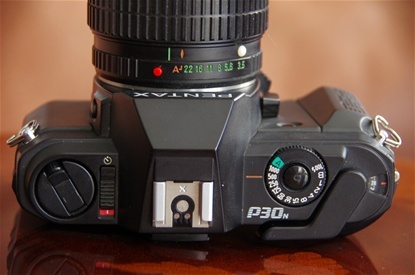 P30 had only one program mode, for instance. The dial for time setting was back, though, and with very little resistance, making it easy to find correct values. Size: 137x87,5x50,5. S/n: 4068681. The second version of the P-series. 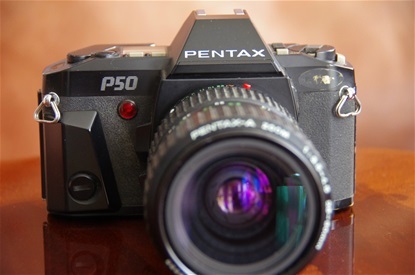 Av mode was added, and EF button for over/under exposure.The SFX was introduced the same year, and the P50 did not become the big hit. Size: 137x87,5x50,5 mm. Sn: 3681459. 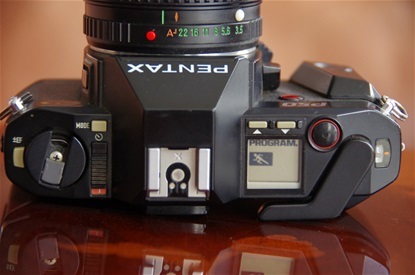 No dials here, but an information panel showing program mode - manual with shuttertime and program with sport or landscape modes. 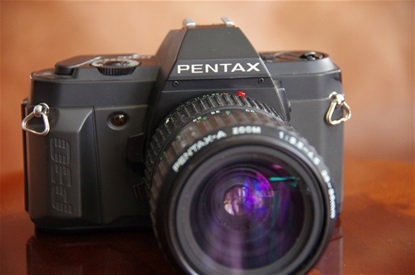 The P30n of 1988. 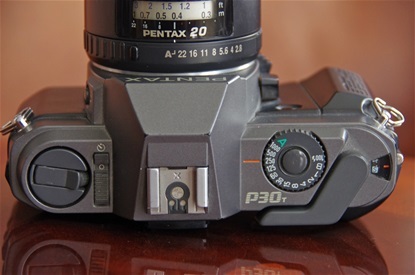 Identical to the P30, but with added Av mode. 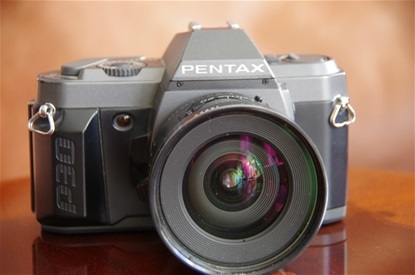 Succeeded by the P30T, a titanium grey but otherwise identical version that was produced from 1990 till 1997. Sn: 4885300. No information panel, only rewind krank, on/off slide, speed dial with an open front for finger tip control, and frame counter. The last P model, the t for titanium. No titanium inside, just the name of the colour of the prism house. Otherwise identical to the P30n. Sn: 6430246. Hei igjen! Nå ligger den omtalte lista ute under "Lost Brands-the 00s". Se Cosina, nederst på sida. Som du vil se, har jeg lagt til noen kommentarer. Flotte sider du har laga. Har et påbegynt lignende prosjekt, men du kom meg i forkjøpet :) Lurte på en ting: Er det dokumentert at Cosina laga P30T? Hyggelig at du liker sidene! Mye gjenstår! Vedr. Cosina og P30T: Den finnes på en liste over de 113 modellene Cosina laget. Legger ut lista under Cosina.